In a scenario where significant technological advancements have been shifting the business paradigm in the waterworks space, metering technology is transforming by leaps and bounds, diverging from the traditional waterworks industry. With the inception of cloud-based platforms, remote application support and remote access to data, both at utility and consumer levels, metering has progressed beyond just reading meters and monitoring leaks, water production and distribution, system pressure and similar operations. 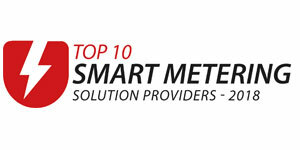 “As a response to such a gradual shift in the utilities business and breakneck evolution of metering,” begins Chris Phillips, President of HydroPro Solutions, “We formed an organization that specializes in delivering cloud-based systems that aggregate monitoring technologies—from metering, to water production, water distribution to sewer collection and leak detection—that enhance the utility’s overall operational efficiency.” A Master Meter Premier Partner, HydroPro Solutions assists utilities in maximizing the benefits of metering, data acquisition, and data management technologies with a sharp focus on discerning the challenges and implementing the right combination of technologies from technical as well as financial and process-driven perspectives. Founded by a management team of experts from large scale water utilities distribution, HydroPro Solutions takes a two-pronged approach to solving the challenges of their clients. First off, the company helps clients overcome the silo of operational challenges in terms of generating revenue—from managing finance to generating billing for utility— and expedites their billing to revenue point as an enterprise fund at a utility level. In doing so, HydroPro Solutions achieves an in-depth understanding of the current operational challenges of their clients, along with the utility type and recommends the right technologies, expedites the process of capturing metering information and enhances their system-wide management. The second aspect involves assisting the client from an operational utility standpoint and understanding the pain points faced by their personnel, issues related to leakages, pressure monitoring, aging infrastructure, AMI network along with customer management or customer perception. To that end, HydroPro Solutions evaluates the quality and accuracy of present operations, and guides the clients with adequate information, thus facilitating their decision-making process. “We assist our clients in a consulting fashion covering the aspects of their budgeting, capital availability, personnel, the age and condition of their infrastructure, and more,” Phillips explains. From the economic standpoint, the team discusses the cost versus the ROI (Return on Investment) for a specific solution or a combination of solutions as well as how any combination of solutions can be rolled out in a certain timeline. “Once we address the economics, we drill down to maximizing the commissioning of those technologies along with building training programs for the utilities’ personnel to facilitate a proactiveness approach to management of their utility that is growing with these technologies,” he adds. An example is data security. HydroPro Solutions enhances the traditional practice of integrating some level of encryption from their metering end-point throughout the entire process. “We advise users not to share their login credentials with anyone; they can have every process encrypted, use data security and firewalls incorporated into the operations but they need to operate responsibly at the human level. That’s what we assist them with,” suggests Phillips. In the role of partner to WaterSmart Software, HydroPro Solutions provides a beneficial way of conserving water for utility consumers. This platform contains information that will help consumers stay abreast of the methods that help manage water consumption in a smart fashion. “The modern day consumer is bombarded with information across multiple media platforms. We attempt to bring the WaterSmart Platform to consumers with the correct information, all consolidated at one place, which is easier for them to understand and implement,” says Phillips. 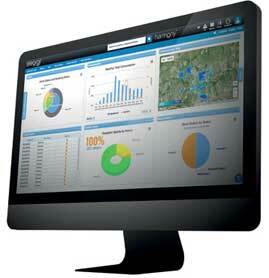 HydroPro Solutions focuses on building a long-term relationship with utilities by ensuring simultaneous transparency. As explained by Mr. Phillips, HydroPro Solutions attempts to craft solutions or technologies that would work with the utility today and grow with them over time. For instance, the company guided one of their clients to migrate from traditional standard metering to the latest technology addressing Commercial Metering applications. HydroPro Solutions gauged their economic threshold, and recommended suitable ways to attain the maximum ROI. Following this, the residential, as well as the commercial meters, were tested, which helped determine that the client would enjoy maximum benefits from the commercial meter projects. Hence, HydroPro Solutions implemented the Master Meter Octave Ultrasonic Meter along with the existing Utility CIS platform, which automated the activities. Consequently, the utility saw an increase in billing by 24 percent. The consumption rate elevated to 19 percent while water loss decreased across the utility system by around 10 percent. Proud of their strategic moves in the utility space in terms of technology, HydroPro Solutions claims to have contributed largely towards the improvement of revenue generation and efficiency in water loss management, and reduction in the cost of operation. “The market will see a heavy aggregation of metering AMI, along with distribution and collection monitoring in the near future and therefore, HydroPro Solutions is evolving as an entity to provide industry best practices to the utilities sector,” states Phillips. Besides having technology expansion plans in its areas of coverage, the company also aims to be more proactive and provide additional resources for the solutions it provides. “HydroPro Solutions will continue to grow with its technology offerings while enhancing our service offerings and customer support capabilities. We see our growth as an exciting and compelling pathway into the future,” concludes Phillips.